Inspire young minds while teaching the ABCs with this book filled with stories of world-changing youths. Nine months before Rosa Parks famously refused to give up her seat, 15-year-old Claudette Colvin stood her ground (by staying seated). At just 14, Philo Farnsworth invented the television. Learn about these, and 24 other young achievers, in this ABCs book that shows kids they don't have to be a grown-up to do great things. From teenage astronaut-in-training Alyssa Carson to 8-year-old dance prodigy Maddie Ziegler, each impressive youngster is celebrated with an alphabet illustration and short story about how they changed the world. 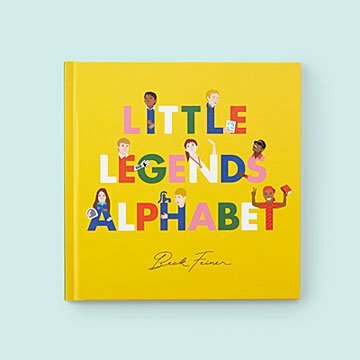 It's an inspiring gift for all the kiddos in your life, whether they're still learning their ABCs or already striving to join the ranks of little legends. Made in Canada.